Give me a deadline, such as a party at my own house, and it is a sure way to make me tackle a few things on my to-do list. Remember the Southern Living Design Summit party I hosted at my house back in February? If you recall, Southern Living celebrated their 50th birthday with a fun-filled weekend. They gave a tour around Birmingham, AL to the designers who came into town, and my house was the first stop on a list of some fun places. When you think of so many people coming in and seeing how you live, it became the perfect reason to do a few things I have been meaning to change for a while. In my family room, I changed out my grass rug to a larger one and added sheers across two walls. 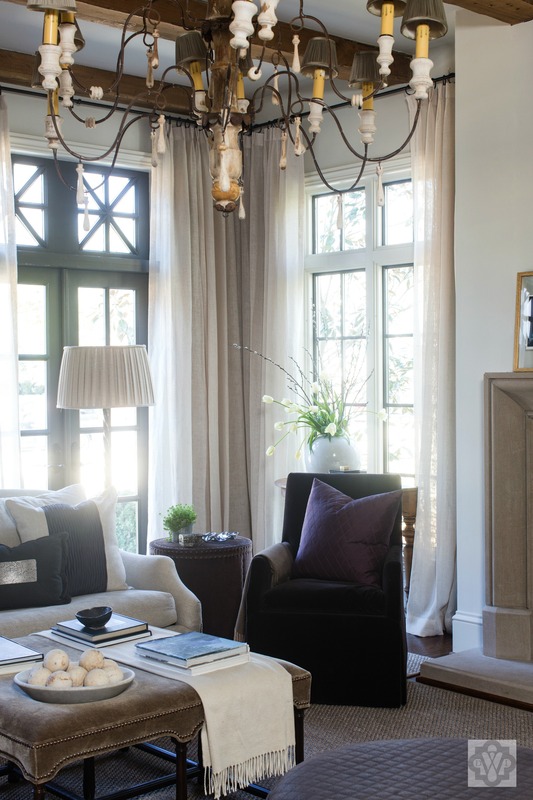 I love the way sheers soften a room and take the formality down a notch. The one below is from Schumacher and is a go-to for me. I am still looking for the perfect piece to hang on top of them above my sofa, but what a difference they make. The velvet on the chair is another by Schumacher. 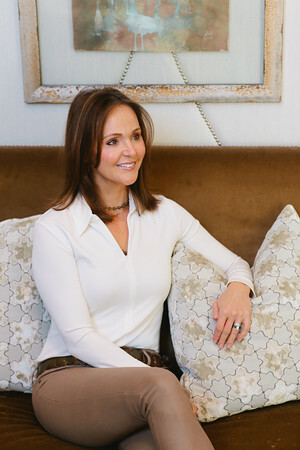 Dana Wolter Interiors. Photography by Graham Yelton. I love for a space to feel organic, layered, pulled together… but not so formal that it feels stiff and unwelcoming. My family room is filled with durable, treated fabrics, so we can live in this room and not worry about everyday life. This is what I call, Everyday Elegance. And why not? Why not create a home that feels good and pretty to you, but is bold enough to live up to everyday life? 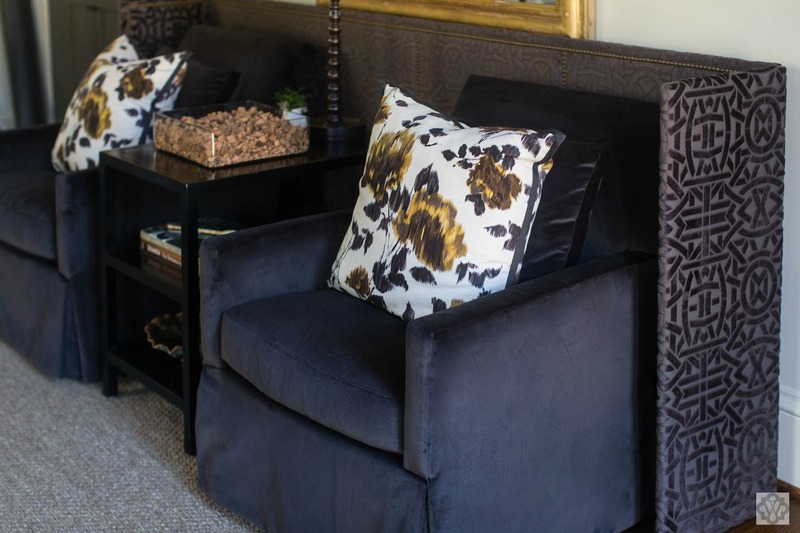 I also changed up a few fabrics on the other side of the room by reupholstering my club chairs (in a durable velvet) and adding a custom screen behind them. It’s amazing how much better crossing off a few things on your to-do list makes you feel. With summer here and my house feeling a little more “lived-in” with my children home, I think I need to look at my list again soon. Here’s to tackling a few things on our to-do lists, one task at a time.